Spring is finally here and we couldn’t be more happy to make the seasonal (and beauty!) shift. I find myself reaching for lighter moisturizers, poppy lip options and my favorite pastel polishes. There is something about delicate pinks and cheerful orange tones that look so perfect in the spring sunshine. This season, nail guru Jin Soon Choi choose these tones and vibrant spring blues to create a chic manicure perfect for the Easter Holiday. Reminiscent of Easter egg decorations, this delectable manicure offers a poppy layered look using her amazing polish range – JINsoon. With a few simple steps, this manicure maven has detailed the exact way you can recreate this festive manicure yourself. Always begin with absolutely clean, polish free nails. File and shape nails to either a natural square or rounded shape. Buff nails if desired. After nails have been properly shaped and cleaned, apply a coat of JINsoon Power Coat as a base. 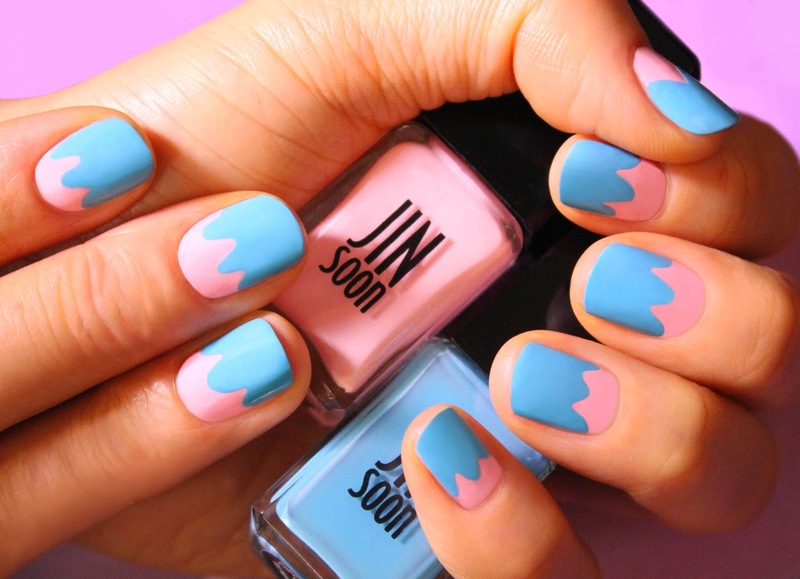 Once dried, apply JINsoon Dolly Pink to the entire nail bed. 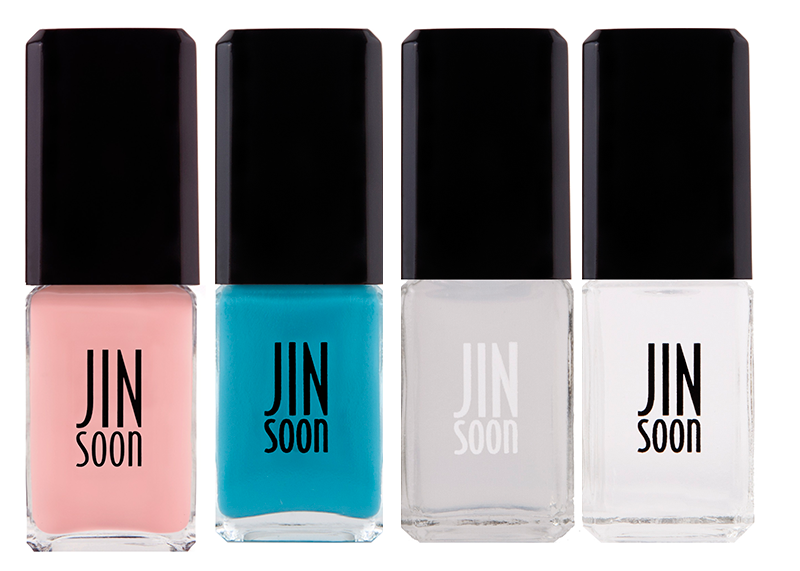 Once nails are polished and dried, apply JINsoon Poppy Blue polish 2/3rd’s of the way from the top of the nails. Create a scalloped or curved edge at the end closer to the cuticle and fill polish to the tip. While you can finish the look off here, Jin offers another tone of color to maximize the manicure. Grab Formula X For Sephora in Seismic and polish over the poppy blue in the same manner as the blue. Once dried, finalized the look in a coat of JINsoon Top Gloss. This ultra-glossy, high-shine top coat will leave nails looking professional and super pretty. 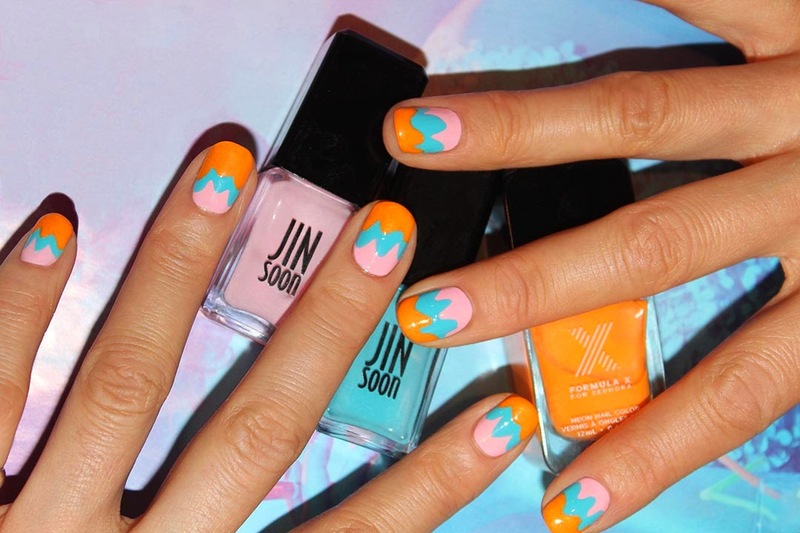 Will you be trying this look for your next manicure? Can it just be warm outside! I took advantage of the brief afternoon warmth this past weekend and brought a little summer to NYC with this sweet Anna Sui dress. The cute shell detailing along the belt was such a nice reminder of warm, sun drenched summer days. Although my trip down memory lane was cut short (damn wind! ), I found a lovely spot where there was plenty of sunshine. A beautiful set of lashes perfectly frame the eyes and serve as a luxurious finishing touch to any beauty look. 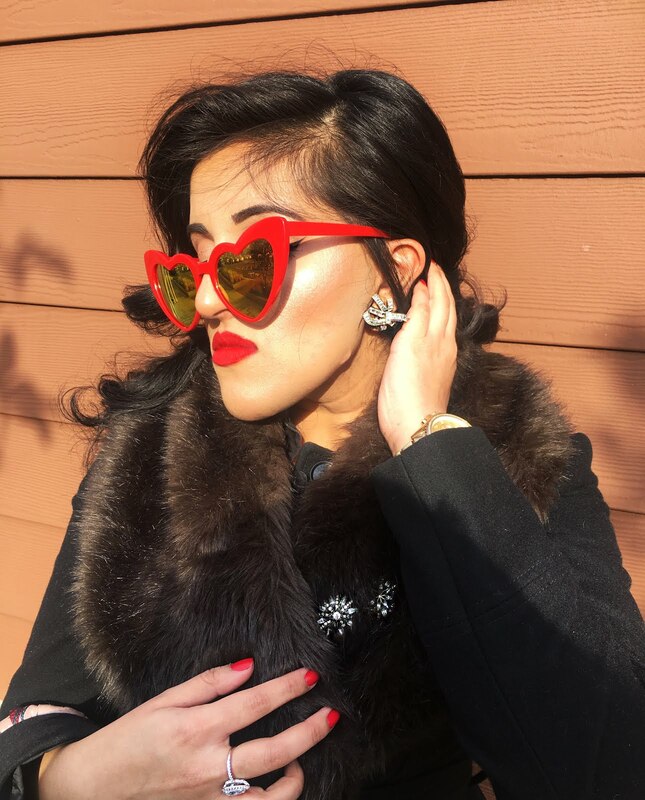 While Elizabeth Taylor was gifted with a natural set of luxe lashes, many of us fake the lush lash look with a pair of falsies. No longer reserved for dramatic evening looks, false eye lashes have become a normalcy among beauty enthusiasts. However, achieving longer, fuller and more voluminous lashes can be done using the proper mascara. I've rounded up the top 5 mascaras I have loved and used time and time again -- each delivering mega volume and full lashes. While mascara formulation is important, the wand is a major factor is achieving that neat full look. Also, no one said that its a crime to layer mascaras. If you're anything like me, you will find that layering mascaras (or any beauty product) can produce some really lovely results. I have detailed some mascaras that work well layered together below. The name and packaging was enough to reel me in but boy does this mascara deliver. 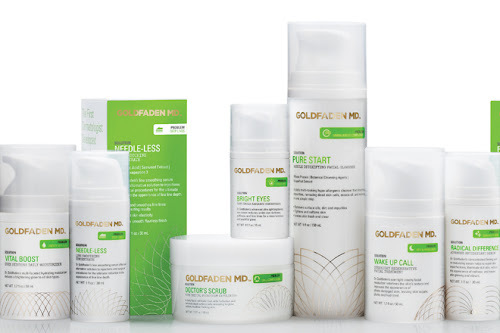 Those who have used it (myself included) have surely seen a great difference in lash length with this product. Offering a plastic wand of medium fullness with tiny bristles, this mascara really separates lashes and gets every little corner lash. My only concern is that it does not add much volume or thickness. I advise using this a base mascara. This mascara is absolutely amazing. While the name is somewhat controversial, its wand is the stuff of mascara wonders. The hourglass-shaped brush is covered in closely set bristles which pushes up and evenly coats each lash upon application. Offering major volume and thickness. this mascara can be worn by its self or layered over 'They're Real' for maximum effect. While the quilted packaging makes this mascara a beautiful asset to your makeup bag, its lash power is what makes it a beauty staple. Its uniform plastic wand features thin compact bristles that evenly coat lashes with a single application. Its deep black and richly formulated texture makes this one of the darkest mascaras I've tired in quite sometime. Delicate enough for those with sensitive eyes, Outrageous delivers some serious volume and length. 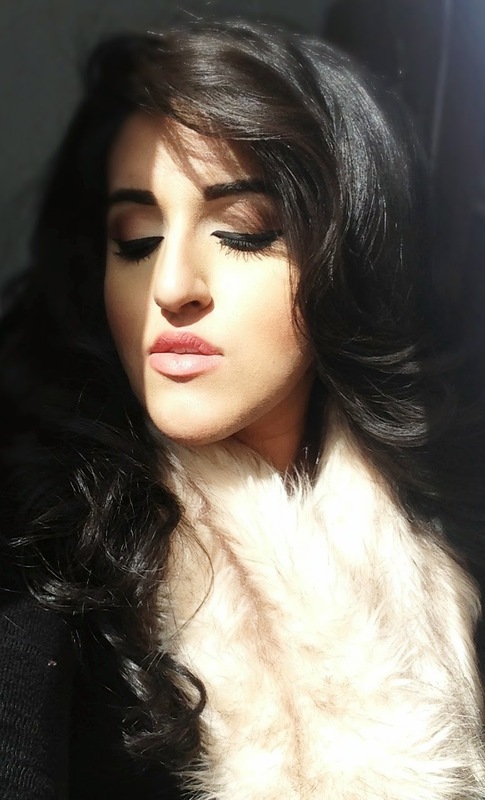 Layer options -- If you want added thickness, add a coat of YSL 'Shocking' over a single coat of Outrageous Volume. The name says it all -- this mascara holds quite the shock factor. Featuring a slightly elongated brush, this mascara really adds some drama to lashes. The ultra smooth, silky formula makes it easy to layer and gives lashes both length and thickness without looking clumpy and stiff. I saved the best for last. Much like their couture collections, Givenchy beauty continues to push the envelope. A long time fan of their Phenomen'Eyes mascara, I was over the moon when I tried Givenchy's Noir Couture mascara. All while curling and lifting, this extraordinary product features a unique triple sphere shaped wand that add intense volume to lashes. This mascara is a lash superstar as it tackles each area of fullness and improves the look and texture of lashes with extended use (lash booster expert complex). 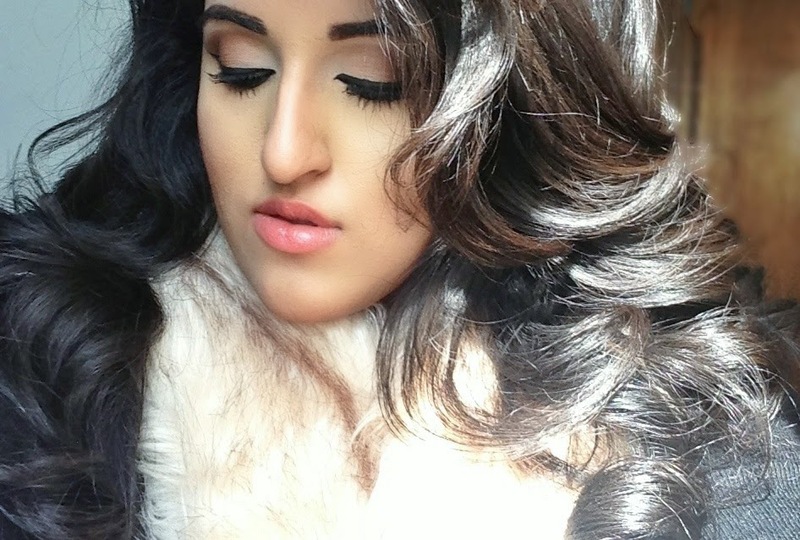 Noir Couture is my absolutely favorite product for full fluttery lashes. 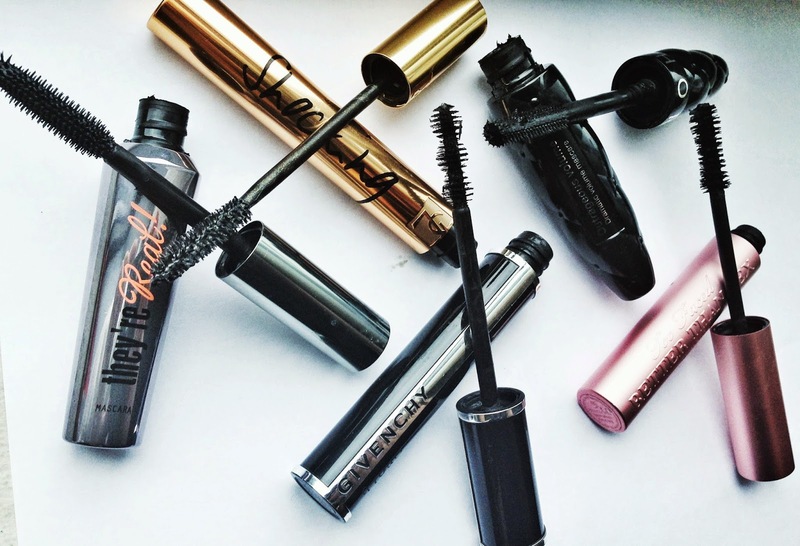 Which mascaras do you love most? Let me know in the comments below. 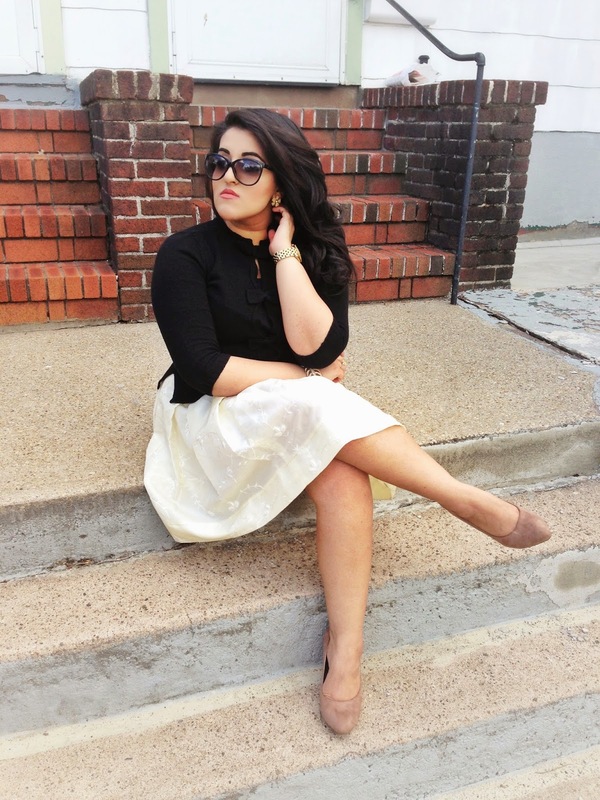 Ok, ok, you caught me -- a couple of my Sunday Styles posts have been going live after Sunday. These past two weeks have been a bit crazed (we've all been there!). Back to scheduled programming, promise! 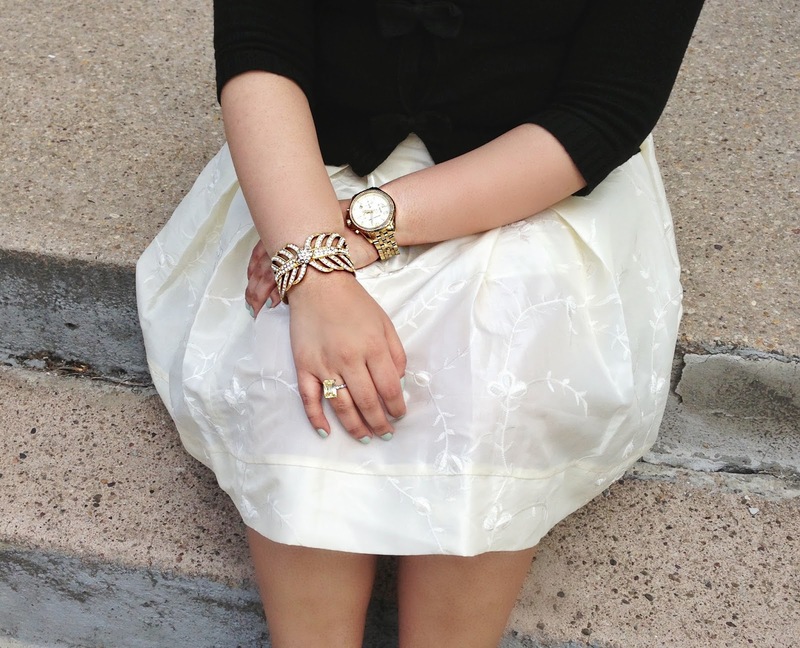 Black and white ensembles always seem to go well together. 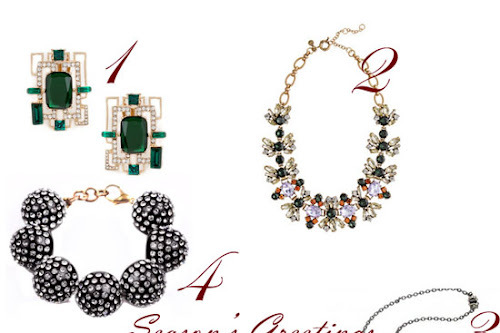 There is something about this combination that reads chic regardless of season. 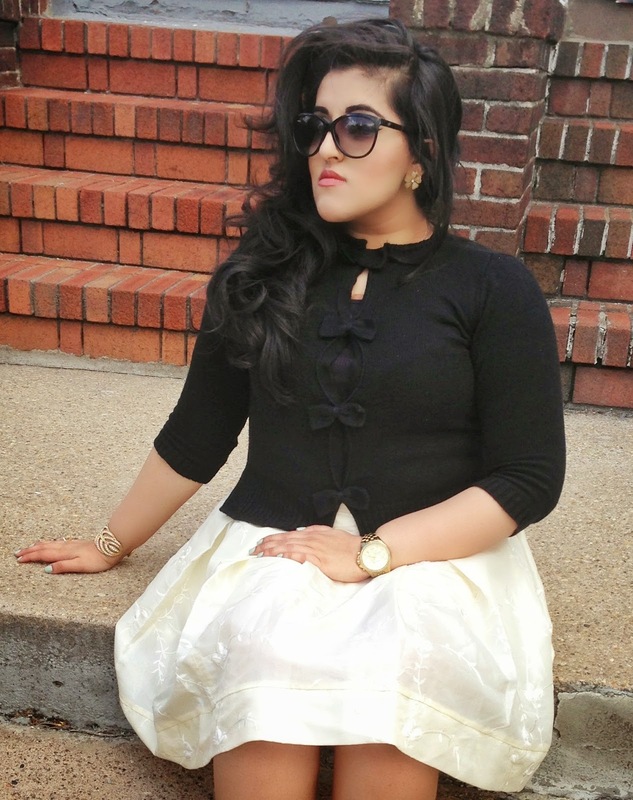 For this Spring look of the day, I opted for a full skirt (such a beautiful embroidered silk!) and sweet sweater adorned with delicate bows.